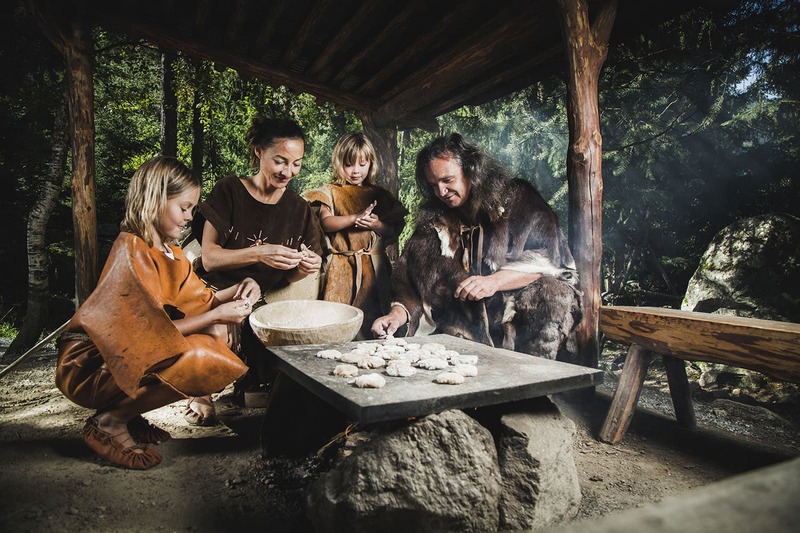 The archaeological open air park in Umhausen offers life like insight in to the Neolithic Period. 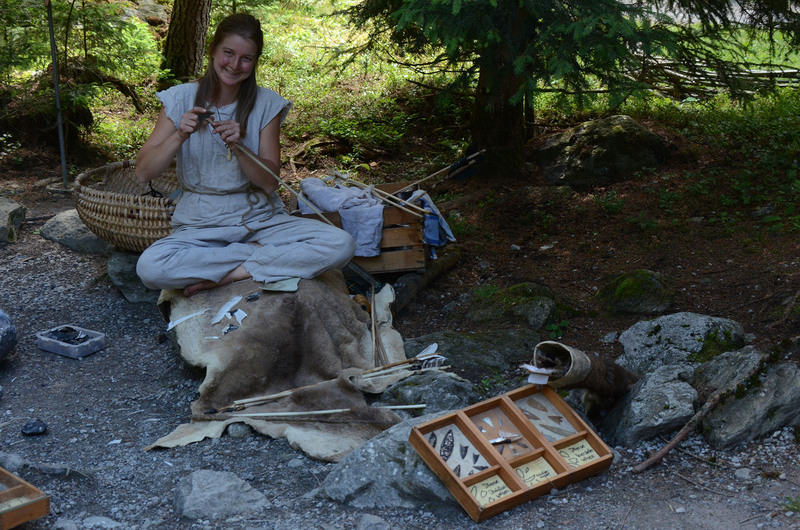 Ötzi Village is not your typical museum, its not static, its alive – here you can see how things were, take part in activities such as starting a fire, use bows and arrows, fur tanning (a leather making process) and much more. See, Feel and Take-part – A new experience of things that were relevant long ago. Start a fire yourself, shoot with a bow and arrow, bake flat bread… get to know about Ötzis world as if you were really there! We offer loads of different courses and adventure days! 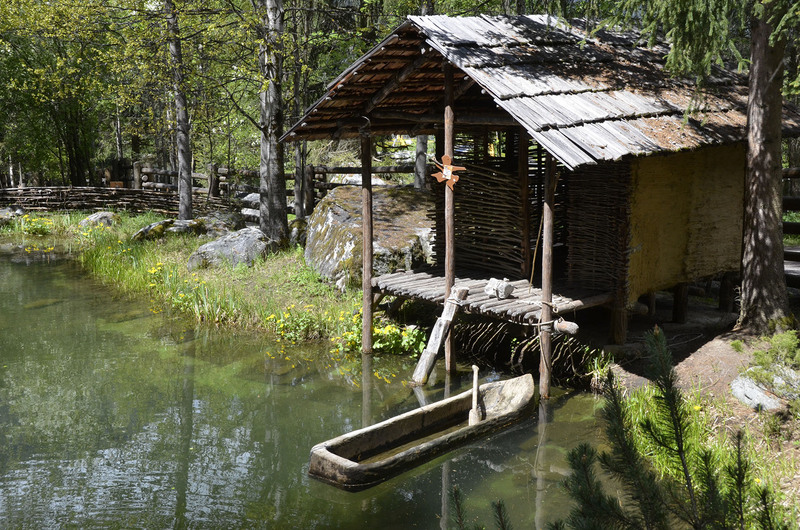 The Ötzi Village is open from the beginning of May tll the end of October – Tours several times daily. Find our opening hours, prices and tours here. 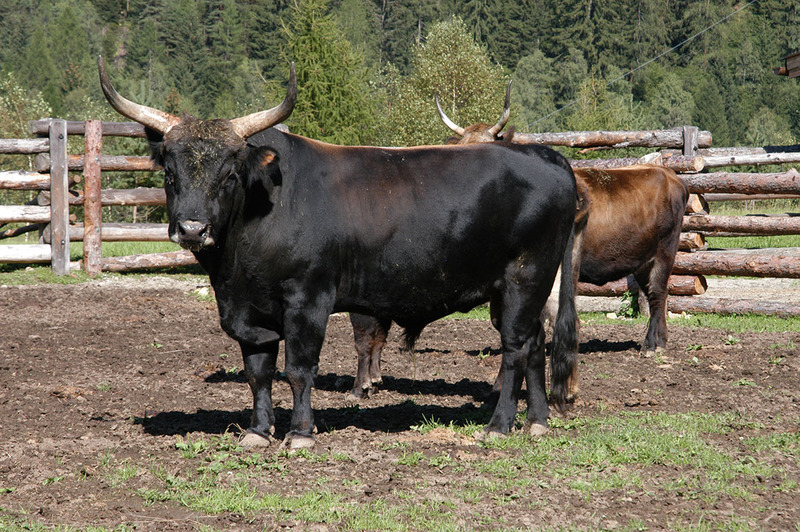 The outdoor enclosure has become a habitat for old species of household animals, for example Mangalitza Pigs, Przewalski-Horses, Ochs, Soay Sheep and Blobe Goats etc. These are animals that may have been present in a Neolithic settelment. 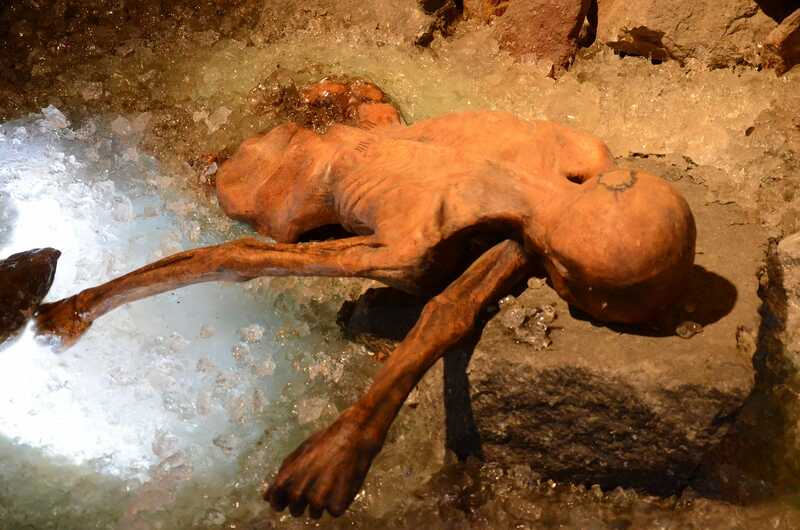 Ötzi was found on Tisenjoch (Similaun) at the southern end of Ötztal. 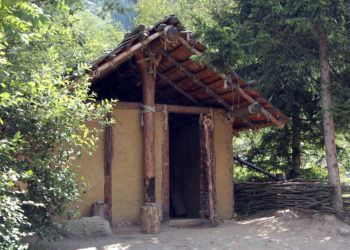 In the Ötzi Village you will find a 1:1 detailed replica of the discovery site. 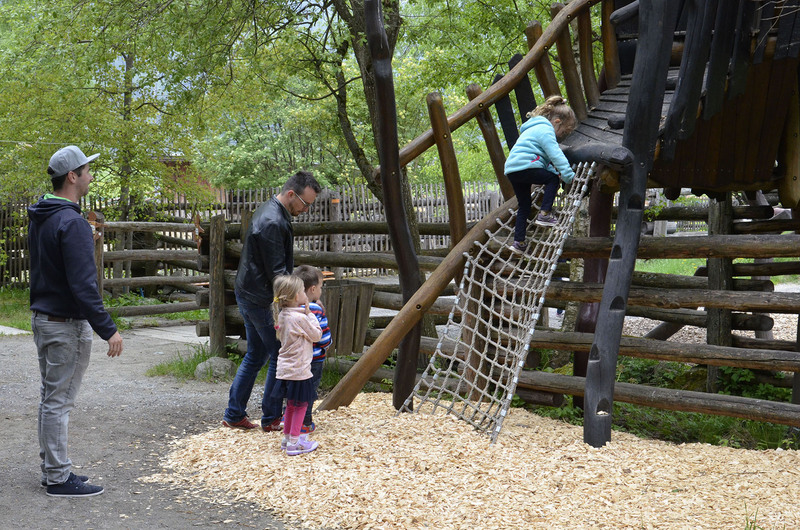 Ötzi Village is a family-friendly place for an excursion with animals, a great playground with slides, swings and a water-wheel, making it the perfect place for an excursion. Thanks to wheel-chair access on the whole grounds you can also get around with a push chair. 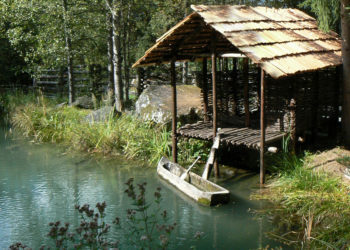 Demonstrations of neolithic craft techniques, taster – courses, events and workshops, film Hut.